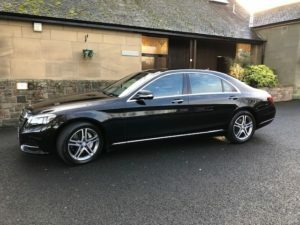 With the options available from our range of funeral vehicles, planning your loved one’s last journey is important, and it is natural to want their last journey to be special. We’ll guide you through what needs to be done and advise you on the choices. 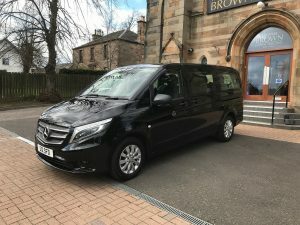 We know that there may be specific wishes to consider – such as the cortege taking a special route or including a specific funeral vehicles – and we’ll do everything possible to honour them. 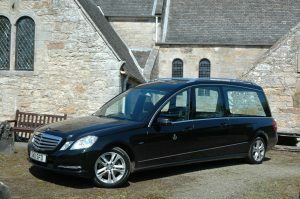 We have our own fleet of Mercedes hearses, together with a vintage hearse. 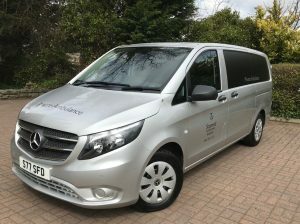 The Mercedes vehicles are especially built for us by duffy coach builders. 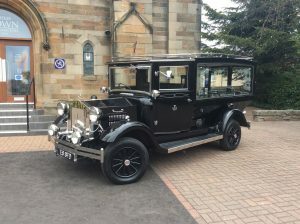 We are able to provide classic-horse drawn hearses and motorcycle hearses, as well as more unusual vehicles if you wish. 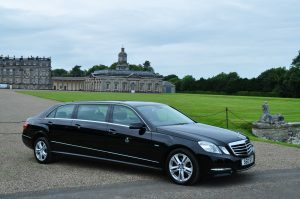 We have a range of limousines, with traditional six seats, to a modern Mercedes S class that seats four. 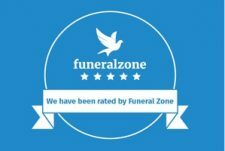 We also work with Motorcycle Funerals and Biggarshiels.